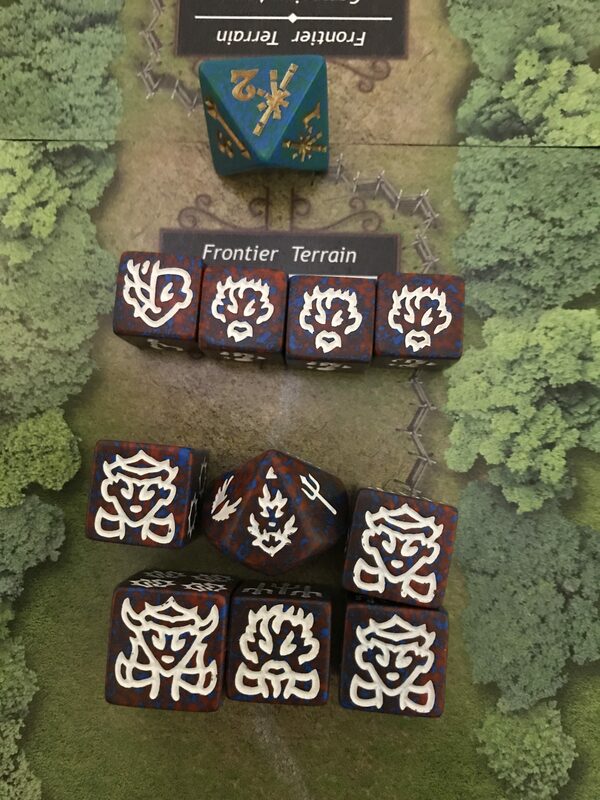 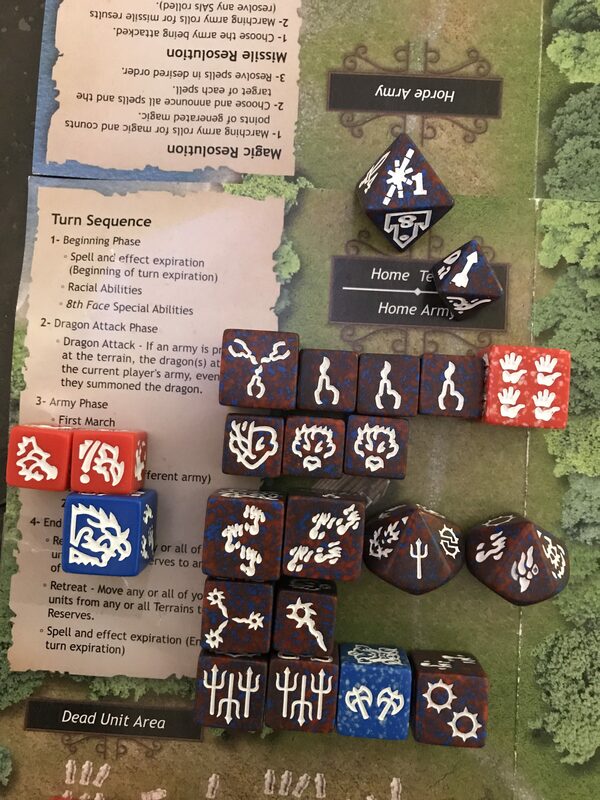 This is part 7 of an advanced level Dragon Dice battle and it is recommended that, if you have not done so already, you read the first six rounds before reading this. 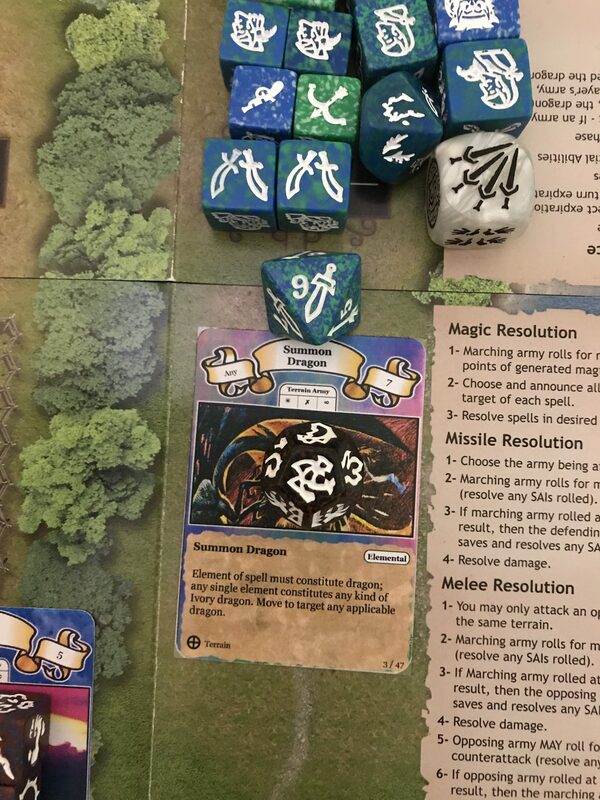 At this point of the battle there are casualties on both sides, with the Selumari appearing to be having the biggest problem owing to them missing magic and missile units. 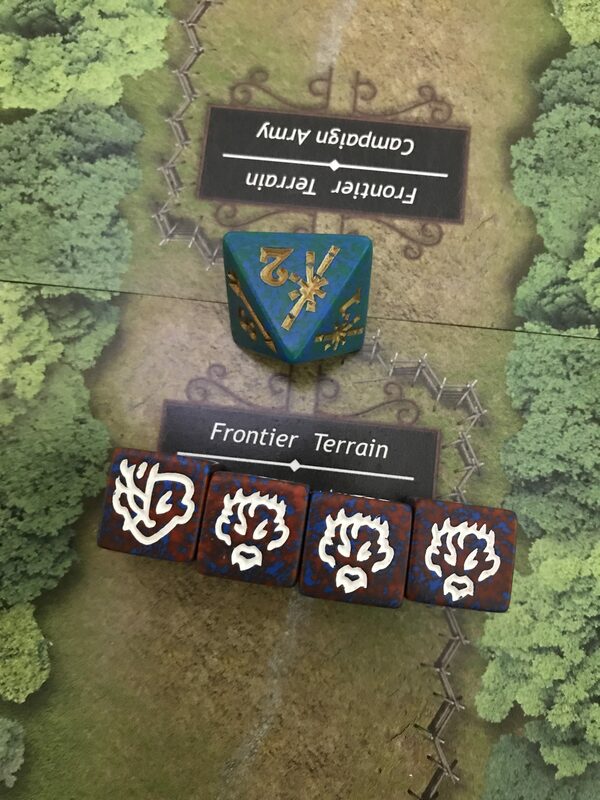 At the start of round 7, the Dragonkin Handlers ability of the Eldarim does not come into effect, as there are already 5 health of Dragonkin in the army with 5 health of Eldarim. 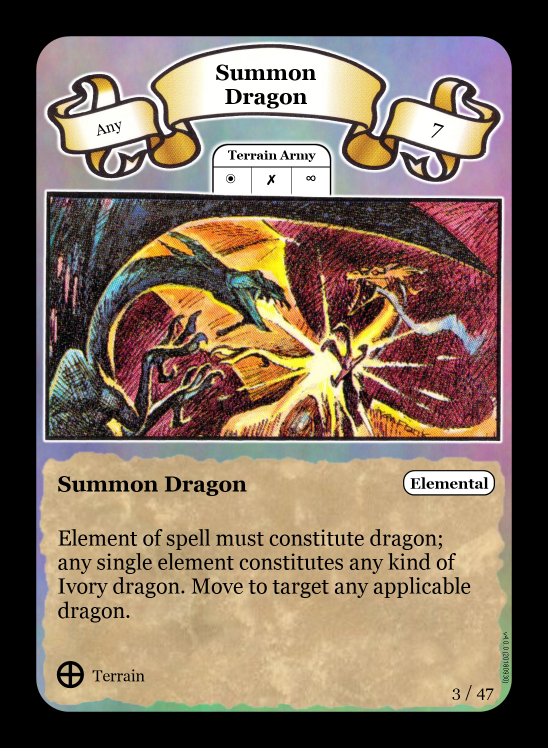 No more dragonkin can be recruited until the army resurrects one of the Eldarim in the DUA. 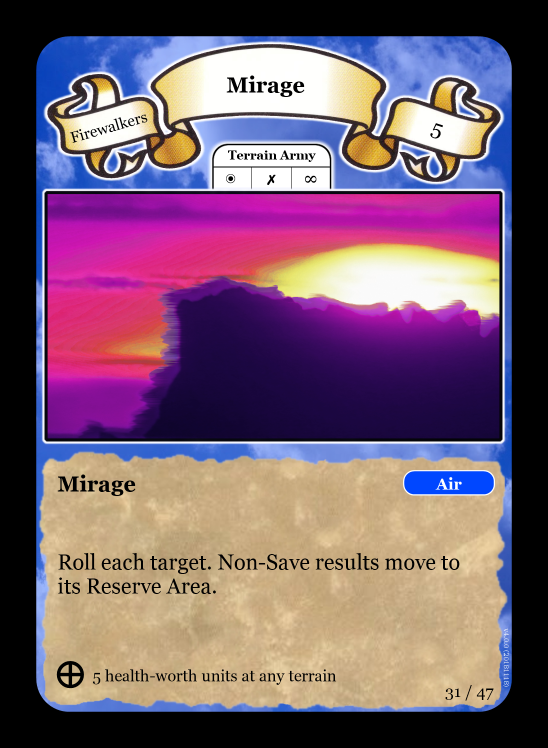 The Empyrea, once again, are limited in their march options and are forced to use magic without taking a manoeuvre. 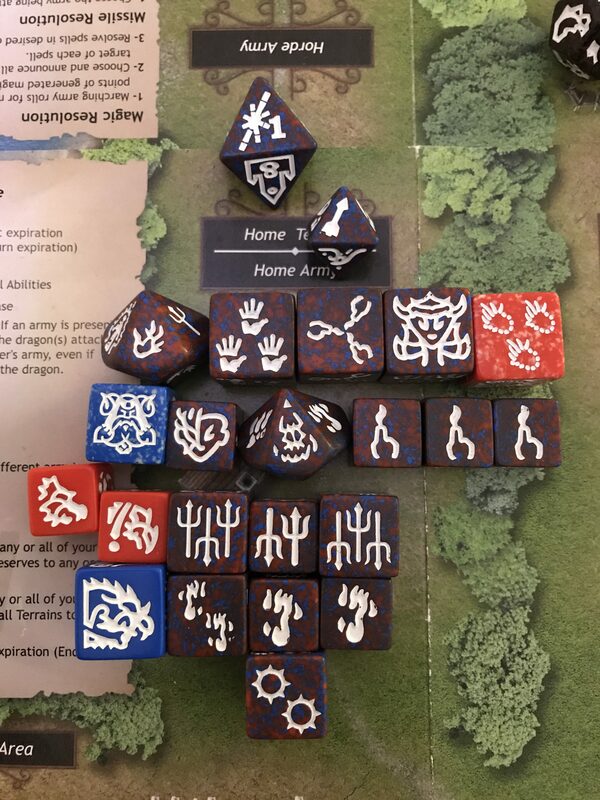 This time they generate 9 fire and air results and an additional 4 fire results. 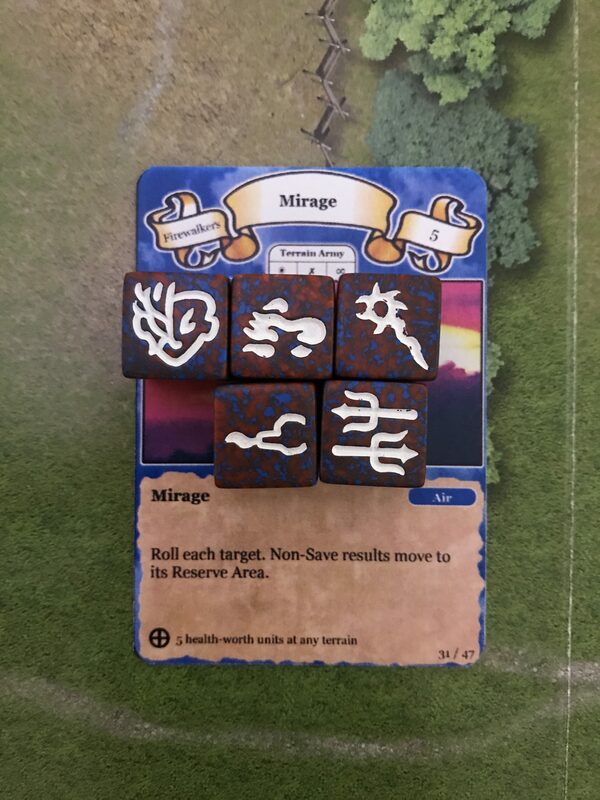 and a Mirage Move sends 4 of the Empyrea out of 5 back to reserves. 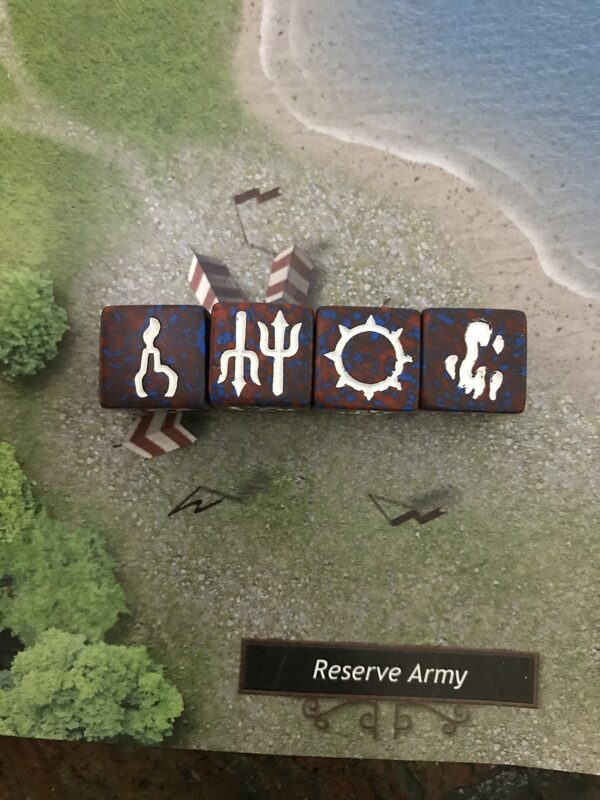 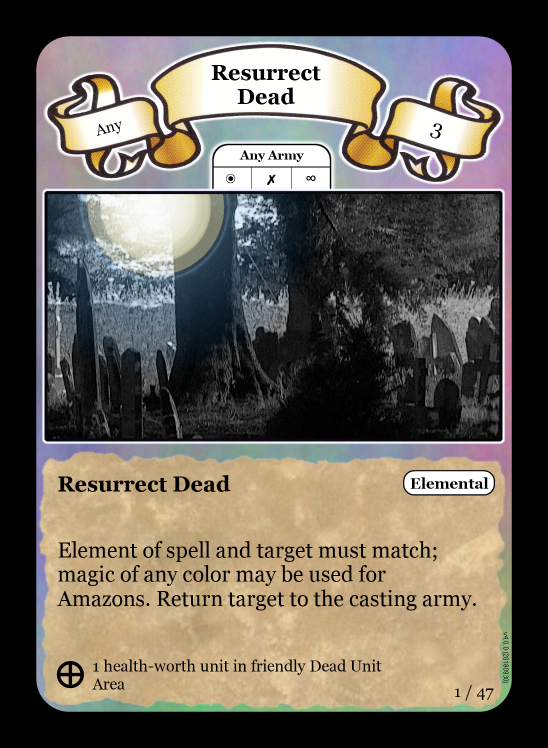 The newly formed reserve army try and fail to knock together some resurrection magic…..
….before they move off to the frontier…..
….and are joined by reinforcements. 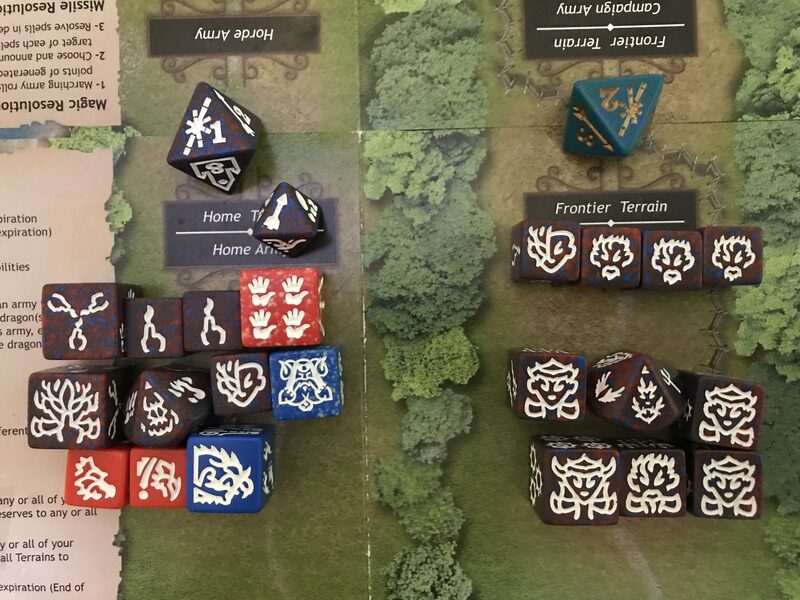 The Empyrea now can boast two magic armies, which are currently relatively safe as the Selumari are all at a terrain from where they can only conduct melee attack.